Choose generic or store brand products – they’re all the same! Don’t freestyle at the grocery store – make a list! Despite your best attempts at trimming the budget, it seems that food is the one cost you can’t cut. Well it turns out that a little preparation and a little compromising will actually go quite a long way. Whether you’re a student, a singleton, or shopping for an entire family of mouths to feed, these minor changes can save you bigtime in the long run. When lunchtime comes around, we all love running to our favorite fast food spot or local sandwich shop for a quick hot meal. But did you know eating out every day can cost more than twice as much as packing a lunch? The average person will spend $8 – $13 dollars per day buying lunch. If you opt to make yourself, for example, a soup or sandwich at home, you could do so at a price as little as $4 per day. This could save you between $1,000 and $2,000 every year. And as an added bonus it can help you eat a little healthier, too! You can stretch your savings even further by making your “brown bag” lunches with the guidance of these frugal cooking blogs. Skip Starbucks and Dunkin Donuts. Make your morning coffee at home. There’s nothing wrong with treating yourself every once in a while. But if you are spending $5 every day on your morning pick me up, it will add up pretty quickly. Getting up a little early to brew your cup of joe at home can easily save you $15 – $20 per week. Plus, a simple coffee with a bit of creamer will likely contain half the amount of sugar as your caramel macchiato with whipped cream and chocolate sprinkles, but will provide just as much pep in your step. Caffeine is caffeine. If a name brand can of corn costs $1.30 more than the store brand, it must pack more flavor and nutrition, right? Wrong! Far too many shoppers fall victim to the misconception that shelling out the extra few dollars for a name brand actually results in better value products. The truth is that store brand products are often identical to their name brand counterparts. Numerous case studies have shown that there is no noticeable different in taste, and many people are shocked to learn that generic brands have actually been known to include less sugar or sodium. The extra cost associated with the brand name products often come down to advertising. When companies spend huge sums of money on commercials, radio, or printed ads, they have to make up that money somehow. Generic store brand products can range from $.50 to $5 cheaper. When applied to your entire grocery cart, this difference will save you big time without sacrificing quality. You’ll save even more money by purchasing these items in bulk. Check out these tips to maximize your savings at Costco! We are all guilty of impulse buying at the grocery store. You go in with the best of intentions, but the sweets and treats you unexpectedly come across are too much to resist. Or you have no idea what you want to buy, and you end up forgetting what you wanted or buying stuff you don’t need. There is a very simple remedy to this dilemma: a grocery list! Take some time to plan your meals for the week, and write down exactly what you need to buy. No matter what, stick to your list! 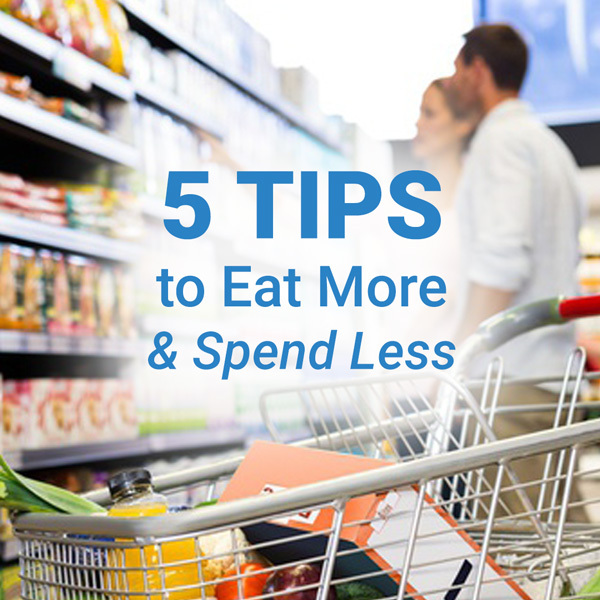 It will keep you focused in the supermarket, and ensure you’re not needlessly spending money on items you won’t use. Not only will this save you money, but it will allow you to get an idea of exactly how much you need to spend on groceries, which is greatly help you when you are trying to budget your expenses. Just remember to keep your eyes on the prize! If you are on a budget, phrases such as “BOGO” or “clearance” will be your best friend. Before heading to your local food store, go through your detailed shopping list and see if you can find any “buy one get one” or money-off coupons online. You can buy a little extra of the non-perishable sale items to save you money on your next shopping trip. If you can’t find any coupons, consider whether you can substitute products you do find coupons for with products you were planning to get. 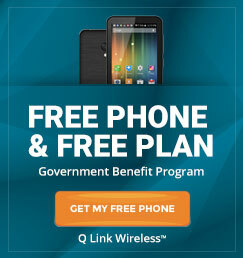 Your Q Link phone will replenish with data each month, so you can easily check for coupons on the go. 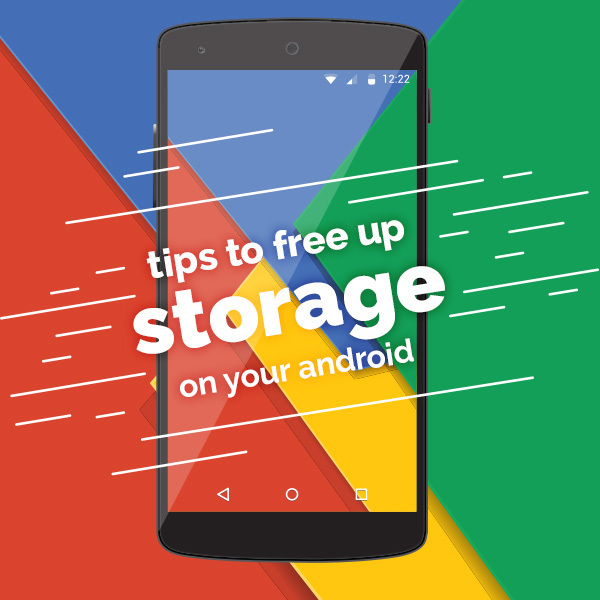 And you can always purchase more data if you feel you need it to keep up with your shopping habits!